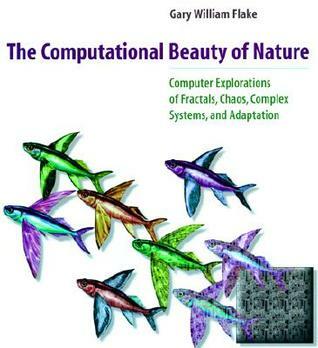 Sign into Goodreads to see if any of your friends have read The Computational Beauty of Nature. 11.28% "Loving this! Mind-bending and I'm only 11% through. Much of the CS content in this first section seemed unnecessary / trivial, but the math was challenging for me. I suppose the writing is aimed at novices in both fields!" 25.1% "Chapter 8 blew my mind.. this book might deserve 6 stars overall at this point. I will be playing with Julia and Mandelbrot sets for the rest of the weekend!" 25.1% "Just got the code built — I had to use a Linux VM because there were some includes from the kernel and X11." 41.05% "Found a tiny bit of time this weekend to read some CBN. I need to prepare myself, though, before I dive into OGY control.. looks scary." 43.19% "That didn't go too well.. need to try again later when I am more mathematically capable. Oh well—proceeding for now."